Her second day doing doctoral research in the basement archives of Siddley Hall, England’s grandest Tudor home, American Antonia Townley finds the hall’s curator — with a knife plunged into his chest. Police suspect Antonia of being the killer because of two insignificant — to her — reasons, the first being the pesky matter of her fingerprints on the murder weapon. Then there is the unfortunate e-mail she had sent to her sister, saying she would kill for the curator’s job. Hunky bachelor Frederick Percy, Lord Rockford of Siddley Hall, learns that the curator was on the trail of the Percy family monstrance, the most valuable monstrance in England before Henry VIII’s Dissolution. It had been believed that the family melted the gold and redistributed the monstrance’s jewels after the Dissolution. Frederick becomes convinced that the curator’s death is tied to the priceless artifact, and that finding it before the killer does can free Antonia from suspicion of murder. More importantly, Frederick vows to protect the beautiful scholar against the menacing forces working against her. 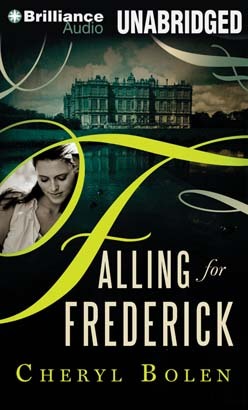 As Frederick and Antonia crisscross England seeking information on the Percy Monstrance, it becomes clear that someone is stalking her every move. She hopes to God Frederick’s not behind these threats, because she’s pretty sure she’s falling in love with him.